It might be the smallest off-roader in the world, but that doesn’t mean it isn’t any good when the asphalt becomes gravel. 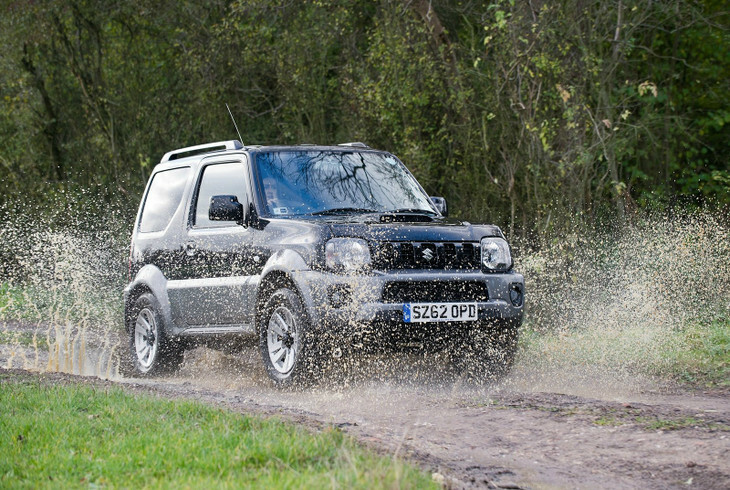 Here’s how the Suzuki Jimny became a worldwide phenomenon. 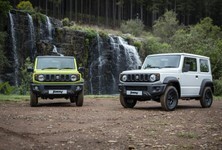 Often ignored in favour of more established offerings, the Suzuki Jimny remains one of the most affordable off-road-ready vehicles money can buy – especially here in South Africa. Much like its contemporaries, the Jimny stems from a lineage that spans nearly 4 decades, but unlike the pricier and bigger rivals from Land Rover and Toyota, it came to fruition under a very different set of circumstances. See, after the Second World War, Japan was in a financial crisis and many of its citizens and business owners were struggling through a post-war economic depression. In an attempt to stimulate the local car industry and offer small business owners a more effective solution for basic transportation, an all-new car category was created: the Keijidosha or Kei car. This vehicle concept comprised exterior dimensions and engine displacements so diminutive they weren’t much bigger than a motorcycle, but its mass appeal kick-started a revolution. In the late 1940s and early 1950s, the Japanese government propagated the development of the Keijidosha (Kei) car to cater for the people's need for a basic (and affordable) transportation solution. Manufacturers were forced to comply with strict legislation limiting dimensions and engine sizes, the latter of which was originally pegged at a mere 150 cm3. The limitations, however, were gradually lifted over time to comply with modern safety and emission standards, but vehicle dimensions remained diminutive. Their popularity and affordability stimulated the renaissance of the Nippon car industry and the local economy, and soon Kei cars were everywhere. 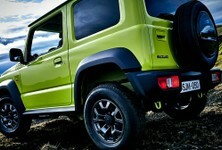 Suzuki led the charge in this new category and, several years later, the Jimny concept was spawned. It all started with the Hope Motor Company that developed the HopeStar ON360 in the late Sixties. It was a cheap and nasty, low-rent mishmash of parts sourced from Mitsubishi (the Colt 1000 and Jeep) with 4-wheel-drive capability and a pint-sized Mitsubishi-sourced two-stroke 359 cm3 engine good that produced a mere 15 kW. 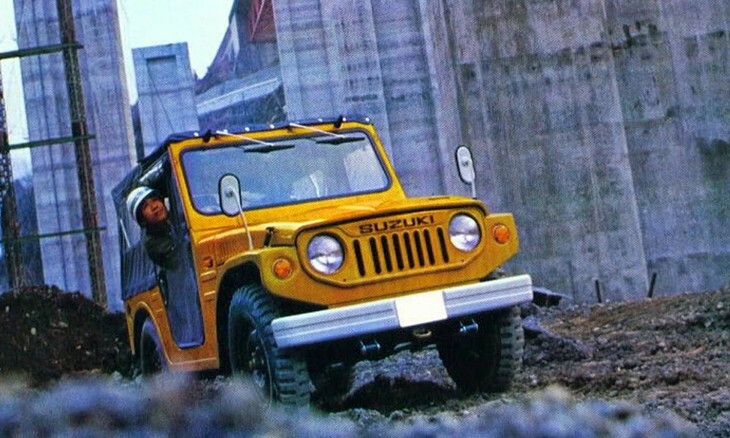 It didn’t do very well, but Suzuki saw its potential and purchased the blueprints with the notion of producing an entirely repackaged vehicle that later became the LJ10 – the Jimny’s spiritual predecessor. The Mitsubishi parts were binned and replaced by Suzuki-designed stock, including the engine: an 18 kW air-cooled 359 cm3 2 cylinder. Measuring just shy of 3.0 metres in length, it became the first 4-wheel-drive Kei car to enter production, with a lifecycle that spanned 11 years (1970-1981). 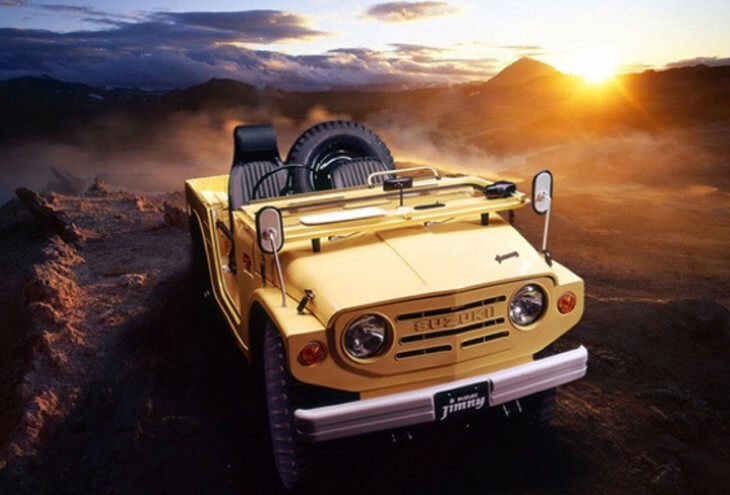 In 1981, the Jimny moniker was born and with it, the 2nd-generation or SJ-Series Jimny. Among a slew of cosmetic improvements – most of which were inspired by the Willys Jeep – it received a larger 3-cylinder engine available in two states of tune: 550 cm3 and 660 cm3. 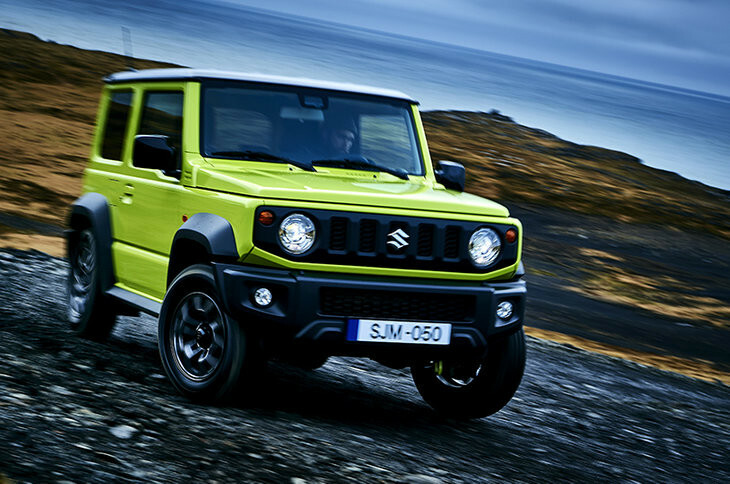 Owing to the popularity of its forebear, the SJ Jimny sold impressively well, both in Japan and around the world where it was badged under various names such as the Samurai, Sierra, Potohar and Holden Drover. With a shelf life that stretched some 17 years, the SJ naturally went through a series of facelifts and improvements. Some of these tweaks included versions such as a convertible, a long-wheelbase derivative and coupe-style hardtop. Boasting a 34 kW 1.0-litre 4-pot engine, a 4-speed transmission and burlier aesthetics, the SJ410 was quite a popular model here in South Africa. 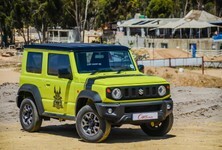 The 3rd-generation Jimny stepped things up in terms of visual drama – it was far more engaging and contemporary-looking than its predecessors and despite retaining a Jeep-like grille it began to adopt its own identity. To comply with Japan’s Kei-car dimensions JDM-specific Jimnys omitted the flared fenders and beefier bumpers of its export siblings. 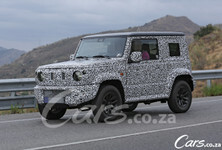 During its 20-year tenure, the 3rd-generation Jimny also underwent myriad facelifts (tweaks that involved a more detailed front bumper arrangement and hood scoop). There were several special editions too, such as the JLX, a luxury version that incorporated such niceties as power-adjustable exterior mirrors, power steering, roof rails and electric windows, to name but a few features. The ladder frame chassis and dual-ratio transfer case ensured it lost none of its off-road credit and the addition of bigger and more powerful engine options (1.3-litre 16-valve with VVT and a Renault-built 1.4-litre powerplant) further helped bolster its popularity on a global scale. 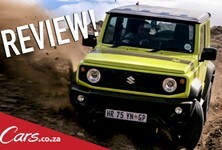 It may have taken 20 years, but the all-new, 4th-generation Suzuki Jimny was recently shown in South Africa to much acclaim from local motoring journalists. 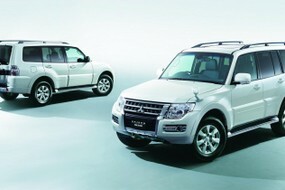 Notably, its most endearing attribute is its styling. which harks back to the original LJ10 of 1970 – a scaled down Land Rover Defender (if you will) with chunky, chiselled addenda and flared wheel arches accentuating its box-like appearance. Its cabin is arguably its most defining attribute – a modern cocoon laced with all the contemporary styling riffs of its stablemates, not forgetting the essential 4x4 switchgear arrangement and transfer case. Furthermore, it features the most powerful engine in the Jimny’s decorated history: an impressively frugal 75 kW/130 Nm 1.5-litre engine. The Jimny, which will go on sale in South Africa in November 2018, has truly come a long way as far as safety goes and a string of onboard programs such as ABS, electronic stability control, brake assist and dual front airbags ensures all the important boxes are ticked.